Since the shooting of 7-year-old Jazmine Barnes early Sunday, the suspect has been described as a white male with a beard. That changed on Thursday. HOUSTON - Authorities have released a sketch of the man wanted in the murder of 7-year-old Jazmine Barnes. Jazmine's mother and sister worked with investigators Thursday afternoon to come up with a composite sketch of the suspect. 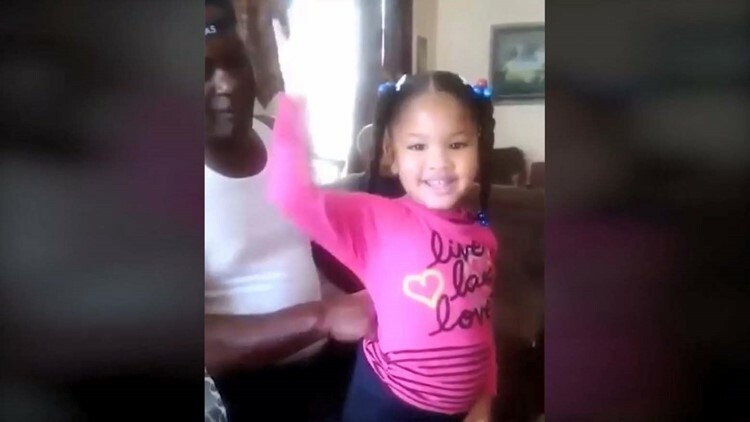 Jazmine's father, mother LaPorsha Washington, and her 15-year-old daughter spoke with reporters and said the original description of the killer is wrong. The teen and her mother described the suspect as a white man with blue eyes, a thin build and no beard. They say he "looked sick" with sunken cheekbones and a pale face with a "five o'clock shadow." He was wearing a black hoodie. Jazmine's sister, 15-year-old Alxis Dilbert, said she looked directly into the killer's eyes just before the shooting. "It was like a look into his car. You know how when you’re driving and y’all make eye contact and look back? It was like that," Alxis said. "He was white and he had blue eyes and that was it, because he had a hoodie on. I couldn’t see his hair. Nothing like that." Video of the suspect's truck was also released by authorities on Thursday. Jazmine Barnes' father, mother and sister during a press conference on Thursday. The victims said the man drove up beside their car early Sunday when they were stopped at a red light at Wallisville Road and Beltway 8. 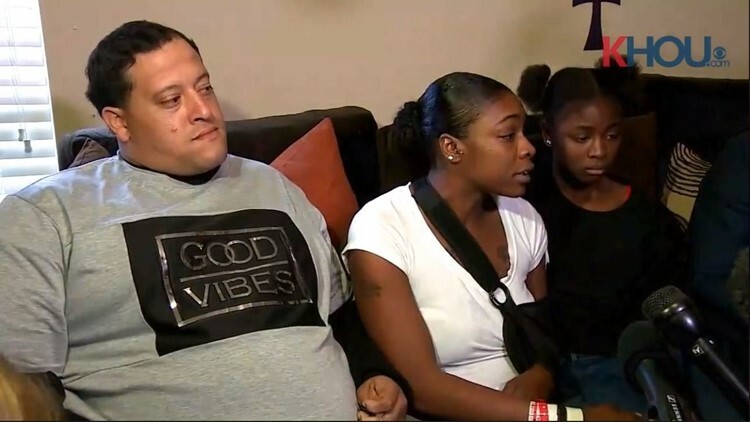 Jazmine was sitting behind the driver's seat when the man opened fire on the family. A bullet struck Jazmine in the head and her mother was shot in the arm. One of Jazmine's sisters was injured by glass when a window shattered. Law enforcement are asking for the public's help in finding the suspect. The Harris County Sheriff's Office held a press conference releasing the sketch and new video of the suspect's truck Thursday evening. "Justice will prevail, and I’m going to be leading the charge," said Christopher Cevilla, Jazmine's father. "I won’t stop. I won’t quit. I don’t care how long it takes. He’s going to slip up somewhere, and I’m going to be there. He’s going down, for sure. "Everything makes a difference," Washington said. "Every step. Every camera. Everything makes a difference. Because it’s like, the more y’all put us out there, the more people are going to feel our pain. And they’re going to want to find this guy." Texans receiver DeAndre Hopkins is donating his playoff check to the family and Shaquille O'Neil is paying for Jazmine's funeral. Details of the funeral were released on Thursday.